Air Canada bought both optional cockpit displays linked to the angle of attack sensors in its Boeing 737 8 MAX and WestJet aircraft have one of the displays. It was revealed this week that the Lion Air and Ethiopian Airlines MAX aircraft that crashed did not have angle of attack indicators or disagree lights because they cost extra and are not required by regulators. 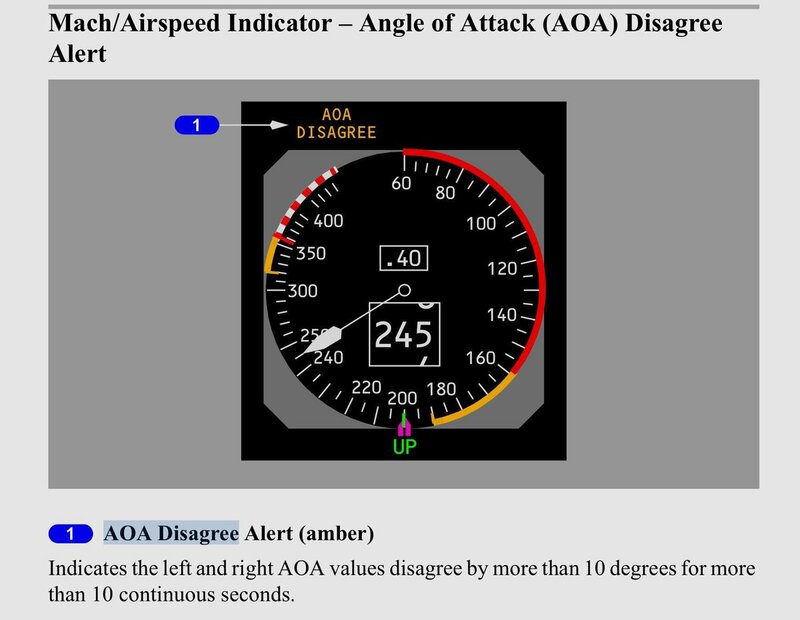 The angle of attack indicator displays the angle being transmitted to the aircraft’s flight computers and in normal circumstances each of the two AOA sensors would send matching data. Pilots could compare the information emanating from the two sensors at a glance. As an extra measure, a disagree light warns pilots when the two sensors are sending different information. Air Canada bought both while WestJet skipped the AOA display but ordered the disagree lights. SunWing, the only other Canadian operator, didn’t get either on its planes. It’s suspected malfunctioning AOA sensors sent faulty data to the Maneuvering Characteristics Augmentation System on the Lion Air and Ethiopian MAXs and caused it to erroneously push the nose of the planes down to the point that the pilots were physically unable to counter them and the planes dove into the ground. Lacking any visible indication of the AOA’s performance, the pilots would have been left to guess what might be causing the uncommanded dives as evidenced by the cockpit voice recorder tapes from Lion Air that revealed the pilots were frantically going through the flight manual in the final seconds of that flight. Boeing has been coming up with a fix for the system since the Lion Air crash and it’s believed that the disagree light will become standard equipment on all MAX aircraft.